ICO as envisioned by the Strategic Planning Committee in Tokyo. Science is a discipline without national borders. Different cultures are united like never before by the feats of engineering that bring an e-mail from a desktop in China to a mobile phone in Spain more easily than walking a letter down the hall. That optics plays such a pivotal role in that communication is no surprise, and that the field of optics has so much to gain from that international communication, should come as no surprise either. The International Commission for Optics (ICO), as its name clearly states, has been devoted to bringing together optics researchers from around the globe since the first day it was founded. But more can be done, and at the ICO’s recent Strategic Planning Committee Meeting in Tokyo, key proposals were set forth to help strengthen the international reach and nature of the organization. While other optical organizations have very large international programs, their annual meetings will always be held within the borders of the United States. The ICO, in contrast, moves around the world. In 2014, for instance, the annual meeting will be held in Spain, but we believe that we can build upon the ICO’s international roots to strengthen optics in developing countries around the world. At the Tokyo meeting, a great deal of discussion was given to holding our annual meeting in a developing nation every third general assembly. This is something no other optics organization does, and is an endeavor that the ICO must take upon itself, both for the good of the organization and for the good of optics research as a whole. For our 2014 meeting in Spain, we will be encouraging countries in the developing world to submit proposals to host the general assembly in 2020. The prestige of hosting an international conference of this sort can bring a great deal of attention to optics in these countries, and helps to raise the level of support for the researchers there. Hosting in developing countries provides a unique opportunity for all members of the ICO. Many scientists conducting exceptional work in countries such as Cuba or Iran find it extremely difficult to meet scientists from the field from the US and other developed countries for political reasons. Often, financial resources are limited, and travel isn’t an option. By bringing the ICO into those countries, we foster the ability to talk directly with fellow researchers when we might not otherwise be able to. We truly believe that the exchange of knowledge will pay great dividends in the years to come. The discussion of international reach included the way in which the ICO assesses dues, and here again we have decided that the current system of units and votes needs to be overhauled to be more inclusive of countries that have been underserved in the past. The first dues system was developed after the Second World War and was based strictly on population. It was updated several years later to the current system, which was designed to ensure that a country such as the US does not dominate the commission, but that system has not kept pace with changes in demographics or research abilities. Thus, extensive discussions were had at the Tokyo meeting about how to overhaul the dues to more accurately reflect the impact that countries such as China and South Korea have had on the field. A number of new algorithms for fee assessment are now under consideration. The exact formula is still being discussed, but they all take into account a combination of the gross national product of a country and the H-Factor of the country. GNP is used as an indicator of how productive a country is, and the H-Factor – a metric of frequency of citations – gives an indicator of the quality of the research being performed. With these two key indicators, representing quantity and quality, we believe that we can create a method of determining fees in a way that is much more equitable across countries. We haven’t yet reached a complete resolution on the issue, but we feel that the system today is unfair and that countries that have contributed to optics enormously in recent years must be equitably recognized. As I mentioned, the details of this issue are still being discussed, but the likely changes will not begin to take effect until 2017, and we anticipate a phase-in period of approximately three years.If inclusiveness was the theme of the Tokyo meeting, it certainly didn’t stop at the issues surrounding political borders. Much discussion centered on the term “photonics” and whether photonics is a distinct disciple apart from optics, or whether optics is a wide umbrella that includes photonics. Clearly, this is an important question as it drives directly to the name of our organization. At length, the decision was made to keep the ICO’s name but to rewrite the commission’s objective statement to expressly include photonics. The first sentence of the new ICO objective is: “The objective of the International Commission for Optics (ICO) is to contribute, on an international basis, to the progress of the science of optics and photonics and its applications.” The entire objective statement likewise reflects the addition of photonics wherever applicable. I’d like to personally thank Angela Guzmán, Ari Friberg, Ahmadou Wagué, Frank Höller, Gert von Bally, James Harrington, Yasuhiko Arakawa, Zhou Bingkun, María Calvo and Pierre Chavel on the outstanding work that they each did in the Strategic Planning Committee Meeting. If the role of such a commission as ours is to bring together the best minds across the optics world to better the entire discipline, then this team has done a fine job extending the reach of the ICO to welcome scientists of all backgrounds and nationalities. 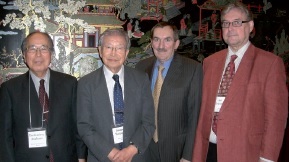 Members of the ICO Bureau and Strategic planning committee with former Japanese ICO Presidents. From left to right in the back M Oron, U Gibson, A Wagué, G von Bally, J Harrington, F Höller, Y Arakawa, Y Yamaguchi, Zhou Bingkun. H Michinel; in the first row: T Asakura, J Tsujiuchi, D Moore, A Friberg and A Guzmán. Andrea Alù, Associate Professor at the University of Texas at Austin. Texas, USA. Andrea Alù is an Associate Professor and the David & Doris Lybarger Endowed Faculty Fellow in Engineering, in the Department of Electrical and Computer Engineering at the University of Texas at Austin in Austin, Texas, USA. He has been awarded the IUPAP Young Scientist Prize in Optics 2013 “for ground-breaking work in metamaterials and plasmonics, and for the introduction of the concept of scattering-cancellation-based metamaterial cloaking”. Prof. Alù received the Laurea, MS and PhD degrees from the University of Roma Tre, Rome, Italy, respectively in 2001, 2003 and 2007. 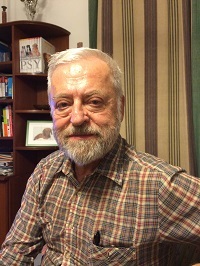 After spending one year as a postdoctoral research fellow at the University of Pennsylvania, Philadelphia, in 2009 he joined the faculty of the University of Texas at Austin. His research interests span a broad range of technical areas, including applied electromagnetics, nano-optics, nanophotonics, and acoustics. He is the co-author of an edited book on optical antennas and over 210 journal papers, among them several high-impact publications with a large number of citations to date. His findings in metamaterials, plasmonics and cloaking have been regularly highlighted in the general press. In light of his scientific record, Alù has received several prestigious scientific awards and recognitions from various technical societies, including the OSA Adolph Lomb Medal (2013), the inaugural Franco Strazzabosco Award and the Medal of Representation of the President of the Republic of Italy (2013), the SPIE Early Career Investigator Award (2012), the URSI Issac Koga Gold Medal (2011), an NSF CAREER award (2010), the AFOSR and the DTRA Young Investigator Awards (2010, 2011). 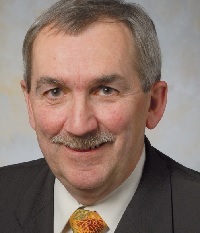 Alù is currently a Fellow of IEEE and OSA, a full member of URSI and a senior member of SPIE, an associate editor of five journals, including the IEEE Antennas and Wireless Propagation Letters and Optics Express. He has guest-edited special issues for the IEEE Journal of Selected Topics in Quantum Electronics, for Optics Communications, for Metamaterials and for Sensors on a variety of topics involving metamaterials, plasmonics, optics and electromagnetic theory. He has been serving as OSA Travelling Lecturer since 2010 and as the IEEE joint AP-S and MTT-S chapter chair for central Texas. Awarded to Kazimierz Rzążewski from Poland. He was born in Warsaw, Poland, and obtained his Master and PhD degrees in physics from the Warsaw University in 1966 and 1972 respectively, and his Habilitation in 1979. Since 1988 he has been a professor at the Center for Theoretical Physics of the Polish Academy of Sciences, and during 1998–2002 he was appointed as its director. His research interests comprise quantum optics, atom optics and fundamental problems of quantum mechanics. His recent work has been centered on the study of cold, quantum degenerate gases, and in particular of the Bose-Einstein condensation. By means of a classical field approximation for temperature effects in a Bose-Einstein condensate, he and his co-workers have recently predicted spontaneously generated solitons in a quasi one-dimensional Bose gas. Since 1998 he has been fellow of the American Physical Society, and of the Institute of Physics (UK) since 2002. Prof. Rzążewski has been a member of the organizing committees of a large number of international conferences, among them the organizing committee of the series Quantum Optics that has been held in Poland every four years since 1985; since 2005 he has chaired the organizing committee. 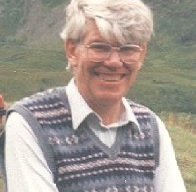 Adolf Lohman was ICO president 1978-1981. It is with great sadness that we have to inform the worldwide optics community of the passing away of Professor Adolf W Lohmann on 15 December 2013, at the age of 87. Adolf, an internationally distinguished scientist, was perhaps the world’s foremost pioneer and leader in the area of optical information processing. His many seminal contributions helped develop the fields of holography and computer holography, classical interferometry, speckle interferometry, a better understanding of 3D wave fields, self-imaging, partially coherent optical processing, digital optical computing, the Wigner distribution and fractional transformations in information optics, super resolution, temporal optical processing, optical similarity, and a subject that he liked to call flatland optics. His highly original ideas, which linked optics with signal processing, were always delivered with a great sense of joy and in an intellectually elegant manner. Adolf was not simply ingenious; he was also a fundamentally good and hardworking person with a magnetic personality and a profound sense of generosity. Over a period spanning decades, Adolf inspired and attracted students and visiting scientists from around the world to work with him and members of his prestigious groups, first at the University of California at San Diego in La Jolla, USA, and subsequently at the Friedrich-Alexander University in Erlangen, Germany. The Applied Optics group in Erlangen was a truly outstanding international centre for the conduct of research in a friendly environment that was notable for its ability to inspire original developments. For many of his students and visiting researchers, he instilled, seemingly effortlessly and without evident intent, a sense of family that continued into his retirement years and even today. It came as no great surprise to his friends and colleagues that nearly 100 “Lohmann optics” people attended a symposium in 2006 celebrating his 80th birthday. For many years Adolf participated as speaker and as a German delegate at ICO meetings. He served as an ICO vice-president from 1975 to 1978, and at the 11th triennial meeting of the ICO, held in Madrid, Spain, in 1978, he was elected ICO President, a position that he held from 1978 to 1981. Adolf organized the ICO Topical Meeting “Optics in 4-Dimensions,” held in Ensenada, Mexico, in 1980, and the ICO-15 triennial meeting held at Garmisch-Partenkirchen, Germany, in 1990. Thereafter, in multiple ways, Adolf continued in his commitment to ICO. He exhibited a sky-clear style when writing scientific papers. Often he dared to explore nonconventional topics in novel ways, always favouring visual representations. For many good examples of such presentations we direct interested persons to his book Optical Information Processing, which for several years was privately printed and is now available as a publication of the Technical University of Ilmenau. His many scientific achievements were recognized through the following distinctions: IBM Invention Award, 1964; IBM Outstanding Invention Award, 1967; Federal Medal of Merit (Bundesverdienstkreuz, Germany), 1981; SPIE President’s Award, 1983; Max Born Award of the Optical Society of America, 1984; C.E.K. Mees Medal of the Optical Society of America, 1987; and the Emmet Leith medal of the Optical Society of America, 2008. He was also honored by the 2002 publication by SPIE of the book Optical Information Processing: A Tribute to Adolf Lohmann. Despite his many achievements, Adolf was at heart a humble person, ready to share his accolades with others.He insisted that he and his co-authors of journal papers be listed in alphabetical order in order to assure that his name not be over-emphasized. The international optics community will remember Adolf and his lasting contributions. He is survived by daughters Sabine, Johanna, Luise and Eva and grandchildren Franka and Max. Ecole Polytechnique Federale de Lausanne(EPFL) in Switzerland. Dr. habil. 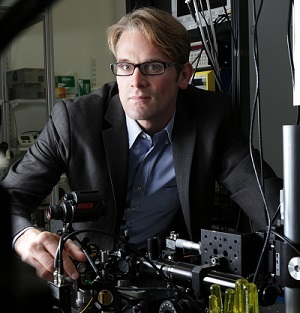 Tobias J Kippenberg, head of the Laboratory of Photonics and Quantum Measurements of the Ecole Polytechnique Fédérale de Lausanne (EPFL) in Switzerland has been awarded the ICO Prize 2013 for “his innovative and pioneering research on cavity optomechanics and optical frequency combs using optical microresonators”. Since 2013 he has been Professor in the Institute of Condensed Matter Physics and EE at EPFL. He joined EPFL in 2008 as Tenure Track Assistant Professor. 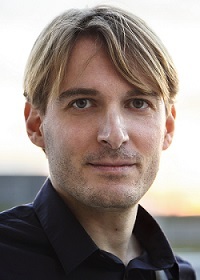 Prior to his appointment at EPFL he was Independent Max Planck Junior Research group leader at the Max Planck Institute of Quantum Optics in Garching in the Division of T W Haensch. Early in his career, in 1996, he won the first prize of the “8th European Union Contest for Young Scientists”. He obtained his BA at the RWTH Aachen in 1998, his PhD at Caltech in 2004 and Habilitation in Physics at the LMU Munich in 2009. While at the MPQ he demonstrated radiation pressure cooling of optical micro-resonators, and developed techniques with which mechanical oscillators can be cooled, measured and manipulated in the quantum regime that are now part of the research field of Cavity Quantum Optomechanics. Moreover, his group discovered the generation of optical frequency combs using high Q micro-resonators. For his early contributions in these two research fields he has been recipient of the Helmholtz Prize in Metrology (2009), the EPS Fresnel Prize (2009) and the EFTF Award for Young Scientists (2011).